We look forward to seeing you and your horses in 2018! 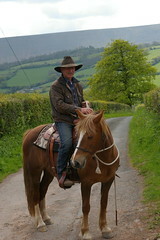 Bring your horse or work with our horses. Currently running one to one courses by arrangement. Bookings for One to One courses are arranged to suit you , dates can be arranged in the week or at weekends . More dates to follow for courses in 2018 soon! Book now to save your place. Tel;01981 510 269 to talk to John in more detail.